Preparation begins for the 2016 NHL Winter Classic at Busch Stadium. Last night, 19,150 St. Louis Blues fans, packed into the Scottrade Center to watch the Blues do battle against the hated Chicago Blackhawks, erupted with joy when it was announced that St. Louis would host the Blackhawks in the NHL’s premiere outdoor event, the 2017 Winter Classic. After watching a thrilling shootout victory, those who bled blue began making their way to the exits, excitedly chattering about the game, and the upcoming Winter Classic. With the Blackhawks defeated however, NBC phoned the NHL and made some slight modifications to the 2017 Winter Classic. NHL commissioner Gary Bettman reportedly shoved Blues PA announcer Tom Calhoun out of his chair and commandeered the public address system. Fans were none too pleased with the news, and cries of “that wasn’t part of the deal!” could be heard. Bettman was later checked into a hospital, reporting his ears were still ringing from all the boos. 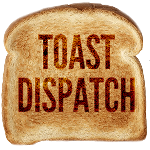 Lets Pay For The Towel Guy’s Playoff Tickets! 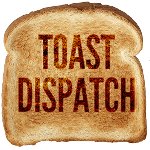 Toast Dispatch Radio S2 – E14: Blues sweep road trip, Red Wings on the downfall & Cam Janssen! Barney Miklasz is our site Admin, in his spare time, he enjoys criticizing Ken Hitchcock's line combinations, as well as skydiving off the St. Louis Arch.